Read more about the KRI Summer Immersion program by clicking here. Why would I want to become a Kundalini yoga teacher? The call to share these teachings is a personal one, unique to each individual. You might want to become a Kundalini Yoga teacher so you can inspire others to become leaders, and to embrace their own potential as fully as possible. For some of us, the opportunity to create community is the driving force behind becoming a teacher. For others, it’s a chance to share a way of life that has transformed us in a deep way. It’s a way to support others in achieving inner calm, radiant good health, managing stress and anger, balancing the glandular system (and attendant mood swings!) and creating abundance on all levels. Why is the immersion training in New Mexico special? The Immersion is special in that, through consistent daily structure, the high vibration of the land, and the caliber of the teachers, an incredibly strong energetic container is created. In this strong and safe container, free of our everyday distractions, our masks are dropped and we can genuinely access our authentic selves. We literally awaken to our fundamental, potent selves. The bonds formed between participants allows this authenticity to further express itself. This empowering experience of self-realization is unique to this Immersion course. What if I don’t feel ready to teach? You might want to attend the Immersion simply to deepen your understanding of the teachings for your own personal development. It’s possible you’ll feel a call to teach classes further down the road – and that said, know that anyone who’s attended this Immersion is teaching, whether on or off the mat! You get to know yourself so well that your awareness inspires and awakens others. What if I don’t want to become a Sikh? Can I still become a teacher? 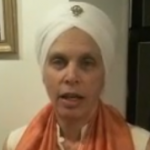 There are countless excellent teachers of Kundalini Yoga who are not Sikhs. While there are many Sikh people who are part of this training, there is no requirement for anyone to either disown or claim any faith, including Sikhism. The Immersion has included trainees who are Muslim, Christian, Jewish, Pagan, Wiccan and many other expressions of faith. All are welcome. What will I learn in Teacher Training that I won’t learn in class? Yogi Bhajan said to learn something we must teach it. These teachings are so vast, that we’re all constantly learning – including the trainers! Teacher training incorporates aspects of what might be offered in a high-quality beginner’s class and deconstructs it into manageable pieces that can then be integrated fully, over the course of the Immersion and beyond. Additionally, key aspects of the teachings that would likely not be covered in a class are included to broaden your understanding – and to inspire you to learn more. As well as the global community of fellow teachers created during the Immersion itself, after the residential portion of the program there are group calls to sustain the connection and energy of the residential part of the course. Teachers are supported in their transition through IKYTA, 3HO and KRI as well as having access to each other and the trainers through social media and personal contact. The trainers are committed to supporting the growth and development of those participating in the Immersion, over and above their time together in New Mexico. Sat Kaur Khalsa is a Certified Kundalini Yoga Teacher and Professional Trainer, specializing in addiction recovery and women’s health. Regularly teaching classes of 50+ students has developed Sat Kaur’s capacity to “hold a space”, creating a strong container for your deep self-reflection and self-discovery. She is honoured to support you in integrating these teachings in a safe and nurturing environment, and welcomes those who are drawn to explore this technology at all stages of life and from many diverse circumstances and backgrounds. 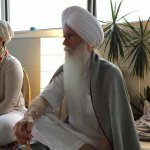 Having first experienced Kundalini Yoga 22 years ago in Toronto, Sat Kaur has been deeply committed to a yogic lifestyle ever since. She happily resides in British Columbia, where she has been living and developing community for 13 years. 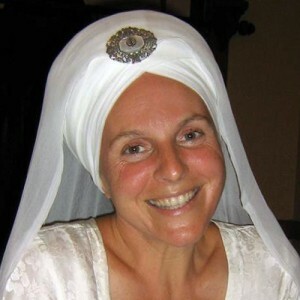 Sada Sat Kaur on Spirit Voyage Radio with Ramdesh! A little note Sat Kaur … many years ago we met and as such my growth as a decent human being has been wondrously mysterious; and still is. As a teacher of Yoga Bhajan please know of the great gratitude I feel … your approach as a living presence to these teachings are dignified …. it is absolutely beautiful to feel ””respect”’ for another person. Thank you.